Youth Summits provide a unique, productive forum for middle school, high school and young adults on the Reservation to share and explore their ideas and aspirations for the future through leadership workshops led by our Youth Advisory Board, a group of amazing youth from across the reservation who are committed to being leaders in their respective communities. We bring role models from inside and outside the community to encourage youth to follow their passions and realize their dreams. We provide a safe forum for discussion of difficult topics with peers and community leaders. With mentorship, doors open and the future is hopeful. Learn about our Summits. 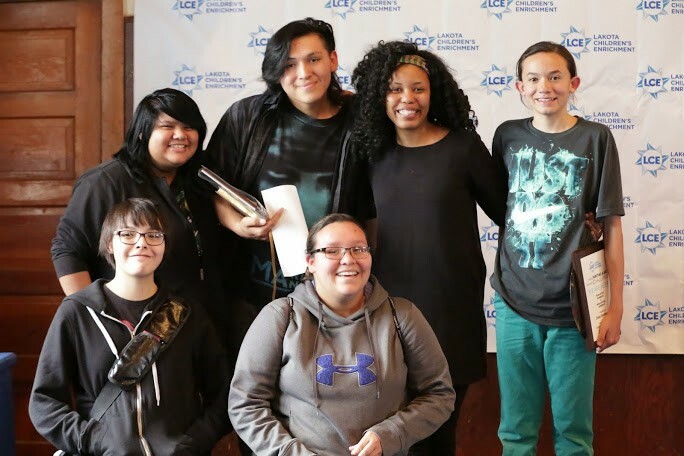 Our Third Annual Writing and Art Challenge asked middle school students through young adults to create compelling messages through poetry, spoken word, essays or art. Winners are selected by a panel of renowned writers and activists and receive scholarships and prizes. The schools of the Grand Prize writers receive a $1,000 grant. Learn More. 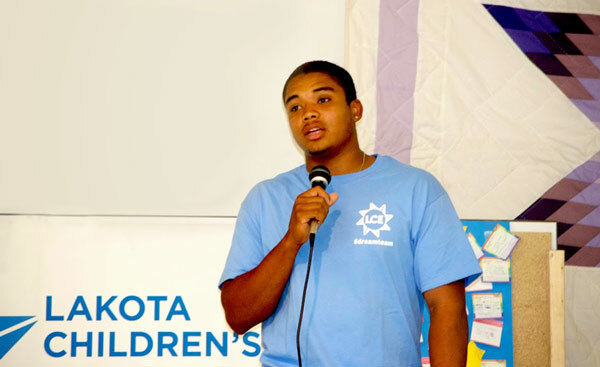 Our Youth Advisory Board (YAB) helps us plan and run our programs. They also propose new programs and we turn some of their ideas into projects that engage youth and help the community. We provide YAB members with leadership training and mentorship. 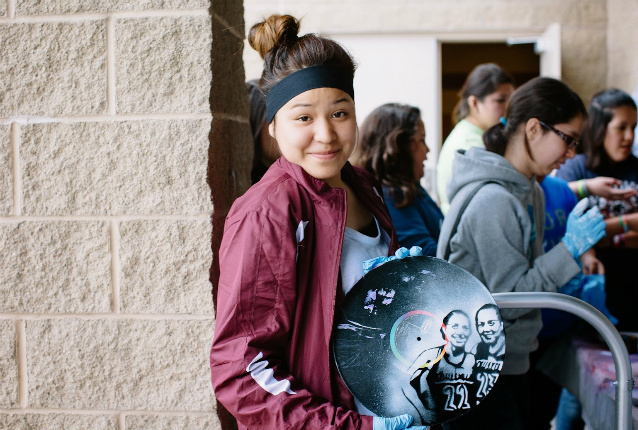 YAB members are from communities across the reservation and are proving that anything is possible. In 2014 we launched the #StandUP for #cultureNOTcostume movement. Although this effort is most in the news around Halloween, we urge people to respect one another year-round. Read about the movement, educate your friends and sign up to be counted as a supporter of this movement. In 2015 we launched a campaign to educate people about ways to minimize and report cyberbullying. Check our our UpStander’s guide to cyber-bullying and be an Upstander, not a Bystander. This is our December toy drive that brings Pine Ridge communities together for a day of holiday cheer. 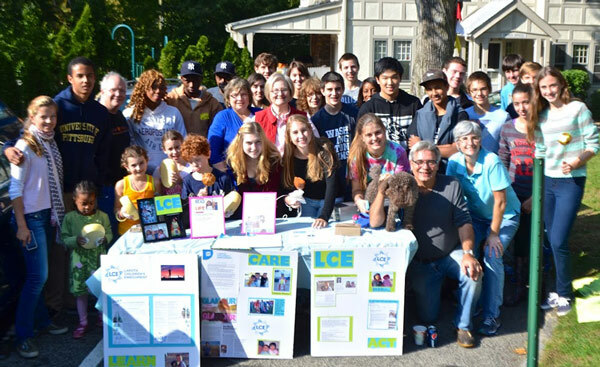 Volunteers around the world contribute funds and presents to sponsor community parties. Get inspired to help children on Pine Ridge. Our fall campaign collects books, art, writing, and sports equipment to restore programs that were cut due to budget restrictions. Studies have shown that students who participate in art programs are three times more likely to win an attendance award and that access to curricular and extracurricular art and sport programs lowers drop out rates. Many schools lack the essential equipment for arts programs and their students lack proper shoes for participation in sports programs. In addition, we have collected over 20,000 books for Reservation schools, community centers and families. We support local grassroots initiatives, on a case by case basis, with stipends for funding, in kind donations, and volunteerism. In 2013, 2014 and 2015 we sponsored the Tiny Tot Dances at the Annual Pow Wow and funded the prizes that went to all tots who danced in regalia, and we have supported numerous other local initiatives geared towards empowering local youth. In 2014, we sponsored a college trip for High School students at the Little Wound School and we sponsored our first youth entrepreneurial grants in 2015. We help groups around the world spread the word about obstacles facing Native American communities today, we provide support for fundraising initiatives and days of service. Activities our global base of volunteers have produced include awareness events featuring our speakers, car washes, bake sales, letter-writing campaigns, donating birthdays and other important life events to fund Lakota Children’s Enrichment’s projects; running, riding or walking for LCE, and auctioning art or other goods for LCE. The possibilities are endless. Track your volunteer hours to earn the President’s Volunteer Service Award. Create an account and register your hours with us using CODE: TZG-56427. We will certify your hours and you can earn a pin, a certificate and a letter from the President of the United States! We want to see America provide equal opportunities to all of its children. For more about our recent projects read our 2014 Annual Report. See what the participants in our programs have to say about LCE’s impact in their lives and community.